Welcome to 2018 Session 2 at Dive Volleyball! Your league e-mail was sent out on 3/1 - didn't receive it? Let us know! Your end of season tournament is SATURDAY, 4/28 at Dive Volleyball - read below for more information! Net 6 is in the smaller gym in the main building - against the far wall (furthest from the entrance). 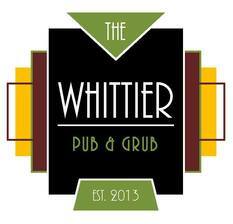 Whittier Pub - Official Dive Volleyball Leagues Sponsor. Your tournament e-mail will go out Friday, 4/20. If your team cannot make it, please let us know ASAP at MileHighSSC@gmail.com or 303-923-5645. All substitute players must be declared by Friday, 4/20 - please e-mail Mike at MileHighSSC@gmail.com with the player name, e-mail and phone # .